Import businesses are challenging and rewarding endeavours. By catering to niche markets with direct-from-the-source goods, you can capitalize on previously untapped consumer dollars for your business. Successful import businesses across Canada specialize in anything from foreign foods and treats to luxury goods and everything in between. Whether you’re a supplier, a retailer, or someone just looking into their options, there are undoubtedly a myriad of benefits to getting into the import business. One of the biggest and most attractive sources for imported goods is China, world renowned for its affordable and abundant products. Unfortunately, navigating the somewhat choppy waters of getting set up in Chinese – Canadian export/import business can be a challenge, even if it’s not your first time! Hard as it can be to get set up, expanding your import business has the potential to be very rewarding — so to help you out, we present our guide to importing from China. Why should I import from China? There is one big answer as to why: profit! The Chinese manufacturing sector is saturated with small and big names trying to make a splash. Sourcing goods from China is attractive because you can get a lot of product far below selling cost, which helps drive up your profit margins. The sheer amount of manufacturing in the country also means China is your best place to look for niche goods — someone will be making what you want to sell. Combine the breadth of selection with competitive pricing, and China makes for an attractive choice for starting your import business. Before you can start importing, you need to find a supplier. Luckily, we are in the era of the Internet — no need to jump on a plane just yet! Start by browsing Chinese B2B sites, like Global Sources or Alibaba. While having an idea of what goods you’d like to start selling will help immensely, you can perform more generic searches to find legitimate suppliers and start there. Keep in mind that having a legitimate supplier is extremely important — counterfeit goods will get you in trouble! If you’ve decided to use Alibaba to find your supplier, try filtering your searches by Gold Sellers and Assessed Suppliers; this will return only suppliers who have been rated highly and have information about their business online. Don’t be afraid to contact suppliers for more information — many people you deal with will be able to speak fluent English — but consider using a throwaway email and name if you’re worried it looks like you’re investigating. Once you’ve found a supplier you’re sure is high quality and trustworthy, you need to test their goods. While many suppliers will have minimum order quantities, you can usually contact them for smaller sample orders! Because there will likely be ocean shipping involved at some point, remember that you should be arranging any orders at least 3 months in advance of when you’d like your samples or goods in your hands. If you’re at all able, consider traveling to China at this point. While digital communication is a great way to get started, you’ll ultimately be able to best nurture a beneficial relationship between you and your supplier if you can arrange a face-to-face meeting at least once. Even if you can’t go visit in person, remember to keep up regular contact and maintain your relationship, possibly through gifts — don’t forget that just as you have a lot of selection in manufacturing partners, so do they, and a relationship that isn’t maintained can quickly fall by the wayside in favour of newer and more active partners. What are the customs procedures? Once you’ve found your supplier — and don’t be discouraged if it takes a few sample orders to find the perfect supplier, you will find them! — you need to focus on how you’re going to start importing larger orders. 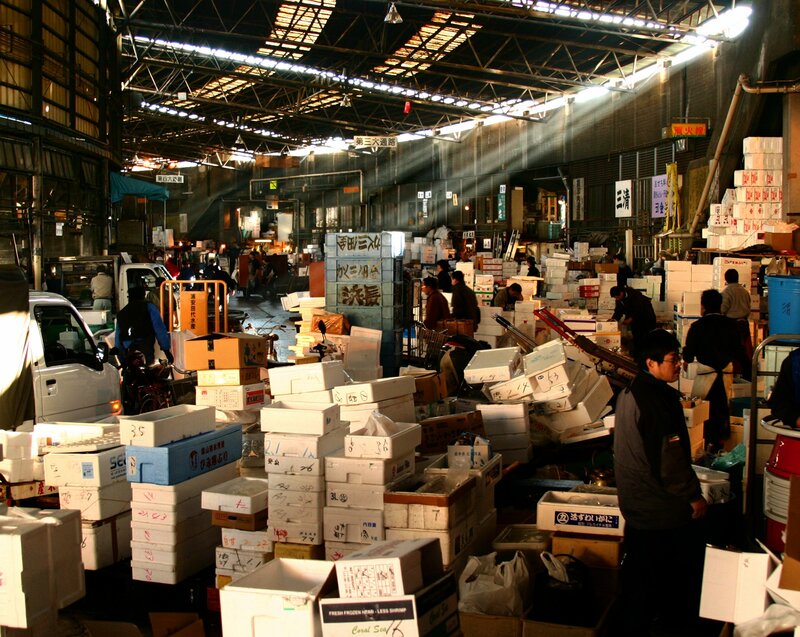 The paperwork you need to keep organized for successfully importing from China can be intimidating. You need to keep all your sales records in order, and be ready to present a Certificate of Origin for your goods. Duty laws and tariffs between countries in international trade are always shifting, as well, so always be on the lookout for changes in how your imported goods are being classified. Failure to comply can be costly! If you don’t know your Incoterms, now is the time to brush up! Incoterms — the International Commerce Terms — are a set of classifications that specify who is responsible for a shipment in each leg of its journey, and you need to keep the nuances of each classification in mind when it comes to importing from China. Generally, when working with Chinese suppliers, your goods will be classified as EXW or FOB. When a shipment is classified as EXW, you and the supplier share responsibility for your shipment, but the supplier shares the minimum possible amount of responsibility. The supplier is responsible from the moment the shipment starts until it’s picked up from their business, meaning packaging and preparing goods is in their hands. The buyer — you — is then responsible for the liabilities and costs related in shipping. FOB is an Incoterm that is specifically for non-containerized ocean transport. In this classification, the seller loads the goods onto the ship, and an agreement is then made as to who is liable for costs and damages while in transit. FOB shipping point puts the onus on you, while FOB destination places the liability on the supplier until the goods are in your hands. Once you’ve got your goods in the country, you’ll likely be selected for an inspection for your first 3 shipments, and then around 1 in 15 shipments after that. Inspections can incur extra costs — imposed by the warehouse, not by the CBSA — so they’re something to keep in mind. The number one risk associated with importing from China is the potential for sourcing counterfeit goods. While avoiding obviously branded merchandise is a good first step to weeding out fakes, it can take a bit of digging to vet really popular goods — which is another reason why you should consider importing into niche markets! A good rule of thumb is that the absolute lowest priced goods are either not legitimate or not high quality, so it’s worth it to spend a little more. Watch out for any supplier that refuses to do samples, as well — never buy in bulk until you’ve seen a sample. If a supplier absolutely insists they do not do samples, and you’re unable to visit them in-person, move on and find a new potential partner. Bringing in a lot of low-quality goods will hurt your import business, not help it. Keep in mind payment types. As credit cards are not easy to get in China, they can be unpopular for making business transactions with, and you’ll likely be asked to use a wire transfer like Western Union. Alibaba has the ability to filter sellers by Trade Assurance, which means that you don’t pay until the goods are in your hands — so if you can arrange for Trade Assurance, take it! Finally, consider adding a customs broker to your process. A customs broker will help you navigate tariffs, duties, import regulations, and any other dealings with the CBSA with ease and efficiency!